Australia is one of the best countries to apply for permanent residency.To obtain a PR using your Skills, you will need to apply for either the Skilled Independent Visa (subclass 189) or the Skilled – Nominated Visa (subclass 190). The Skilled – Nominated or Sponsored (Provisional) visa (subclass 489). 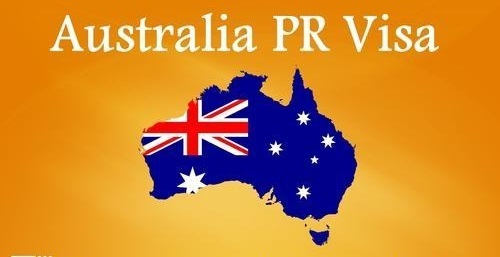 To apply for most of these permanent residency visa, you need to follow a point based immigration system.The point based immigration system of Australia determines your eligibility for PR visa based on the points you score for key selection factor i.e. ; age, Language Proficiency, Work Experience, Education etc.. Since we applied for the subclass 189, the focus of this Step-by-Step process will solely be on this visa type. Here it goes. A Permanent Resident multiple entry visa for family valid for 5 yrs. Benefits for Spouse to work from day one which even H1B doesn’t allow. Pursue Higher Education at a Fee of Local Student, which is 3 or 4 times less than what you pay as International students. Get eligible to apply for a citizenship after staying there for 3-4 years. Citizenship by birth: Children born in Australia automatically acquire Australian citizenship if at least one parent is an Australian citizen or permanent resident at the time of the child’s birth. Children born outside Australia to parents who are not Australian citizens do not automatically acquire Australian citizenship, nor are they eligible for citizenship by descent.Children born outside Australia to permanent resident parents will need to apply for and be granted a permanent visa to be able to enter and remain in Australia with their parents.Most children born outside Australia to permanent resident parents will need to apply for a Child (subclass 101) visa. Should be Graduate / Diploma, P.G Degree / PhD. The permanent residence application process can be very complex, time consuming and difficult. It is therefore essential that if you are considering applying for Australian permanent residence, you get professional immigration help. Novus Education with years of experience in the Australian Immigration field offers best solutions for your Australian PR processing with excellent IELTS Trainers, Counsellors and Immigration Lawyer who has several years of experience in the field advising you in every step of the process, starting from profile assessment. The first step towards moving to Australia is to get an assessment of your specific situation. Call us today at 9100088186/87 for an assessment to see if you are eligible to move to Australia, or fill out request form for a free counselling with our experts.